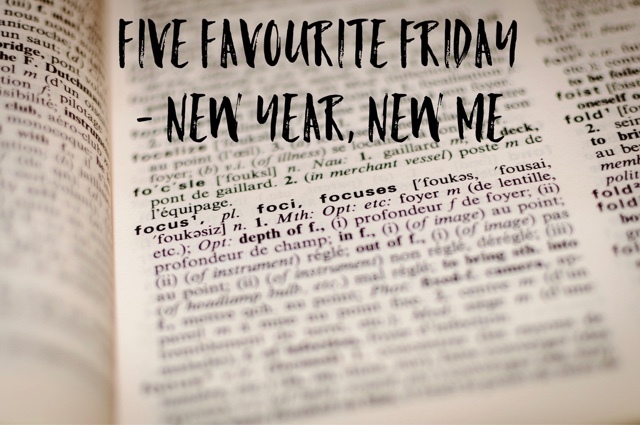 It's the first Five Favourite Friday post of 2017, and my partner has made the topic 'New Year, New Me'. I'm taking this to be suggestions of ideas New Years Resolutions, as it's never too late to start a resolution. 1) Learn a new language - I know my partner is desperate to learn a new language, but it doesn't have to be a national language, consider alternatives like sign language or learning to code, both I'd like to do one day. 2) Give up / cut back on a bad habits - we've all got bad habits that we've got into over the years, but you can use the turning of the year to either give them up or try and cut back on them. Whether it's drinking alcohol, cigarettes, gambling or possibly something more mundane like chewing your nails, why not try and give them up! 3) Do more exercise - the alternative to try to lose weight, be more active to burn those excess calories off. Try to add a target to give yourself a goal to work towards. 4) Invest more time in others - This is a mutually beneficial resolution as it will help you understand your partner, strengthen friendships and working relations, not only that but you will get a sense of warmth from the appreciation if you're investing in the right people. Also consider volunteering or acting as a mentor to someone, passing on your knowledge and experience to others that would benefit from it. 5) Enjoy the little things - All to much now a days, people spent too much time rushing from one thing to the next without taking into consideration the good things that happen to them. One of the things we've agreed to do as a family is to make a note of all the happy or funny moments that happen through the year and, as the year comes to a close, we'll open the pot up to review all the positive events of the year. These are my favourite ideas for New Years resolutions, but their are plenty of other suggestions that I could have considered. What would be your suggestions to others? Let me know I'm the comments below. 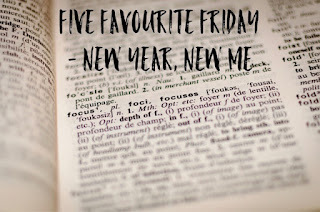 My partner has posted her favourite ideas on her blog, check them out here. One of my resolutions (that will be revealed tomorrow) is to announce my topics with as much time as possible, so for next week our posts will be about 'Participation Sports'.